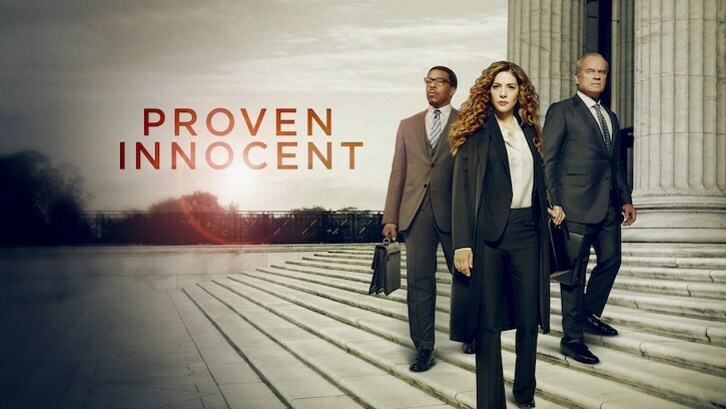 New legal drama PROVEN INNOCENT will premiere Friday, Feb. 15 (9:00-10:00 PM ET/PT). Emmy and Golden Globe Award winner and EMPIRE co-creator Danny Strong partners with David Elliot (“Four Brothers”) to tell the emotional story of one woman’s fight for the innocence of others, as well as her own. PROVEN INNOCENT follows an underdog criminal defense firm led by a fierce and uncompromising lawyer, who was wrongfully convicted in a sensational murder case that made her an infamous media obsession, a household name and a national cause célèbre. The drama stars Rachelle Lefevre (“Under the Dome,” “A Gifted Man”), Emmy Award and Golden Globe winner Kelsey Grammer (“Frasier,” “Cheers,” “Boss”), Russell Hornsby (“Seven Seconds,” “Grimm”), Vincent Kartheiser (“Mad Men”), Tony Award winner Nikki M. James (“BrainDead,” “The Good Wife,” “The Book of Mormon”), Riley Smith (“Frequency”) and Clare O’Connor (“Easy”). Adam Armus is an executive producer and showrunner.